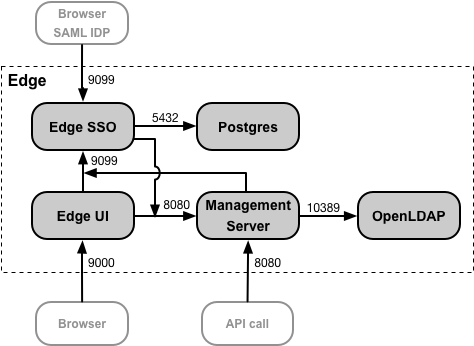 After enabling SAML support for Edge, you can optionally enable SAML for Apigee Developer Services portal (or simply, the portal). The portal supports SAML authentication when making requests to Edge. Note that this is different from SAML authentication for developer login to the portal. You configure SAML authentication for developer login separately. See Configuring the portal to use SAML to communicate with Edge for more.